Ndiaye is president of the Académie Nationale des Sciences et Techniques du Sénégal (ANSTS) and of the African Academy of Sciences (AAS). He is chair of the High Level Panel, Pan African Univ. since 2010 and in 2011 was appointed by the director General of UNESCO as member of the HLP of STI for Development. 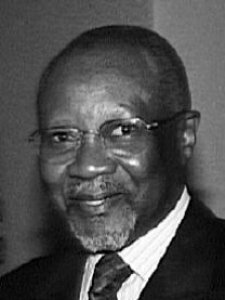 He graduated from Lyon's Faculty of Medicine as a veterinary surgeon in 1963 and became head of the production department, and later director at Dahra (Senegal) Zootechnic Research Center (CRZ). He joined École Inter-États des Sciences et Médecine Vétérinaires, Dakar in 1967 where he was director from 1976-86. He became personal adviser to the President of Senegal in 1988 and was appointed minister (1999). He was founding rector of Gaston Berger U., Saint-Louis, Senegal (1990-99). He is Associate Member of the Academy Hassan II of Science and Technology of Morocco. Keywords	 Aflatoxines; by products in animal feeding; higher education in Africa.